Cost to install radiant floor heating varies greatly by region (and even by zip code). 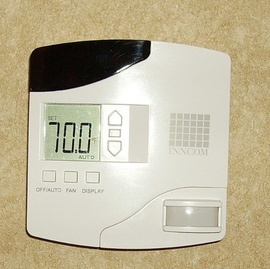 Get free estimates from air-conditioning and heating contractors in your city. Cost to install radiant floor heating varies greatly by region (and even by zip code). 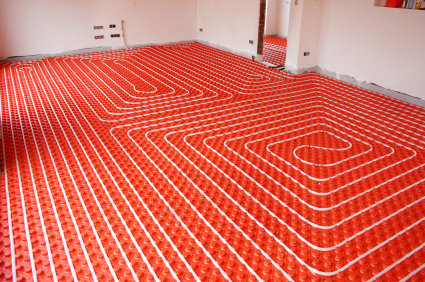 How much does it cost to install radiant floor heating? Waking up in the early hours of a winter morning and placing your foot on a cold floor is one of the more unpleasant experiences of daily life. 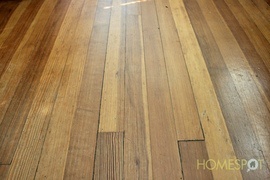 This is the reason for the wild popularity of radiant heat flooring. This, however, is not a single sort of system and can be done throughout the home, in a single room, and with a variety of materials. There are flexible tubes full of circulating hot water in some systems, and there are electric mats installed beneath the flooring in others. Some are best installed during construction, and some can be done on a "room by room" basis. For the purpose of this discussion we will examine the costs and materials for the installation of a "hydronic" system installed throughout an entire home. This is a project that will require the use of a licensed and qualified professional. The Radiant Panel Association is a good place to begin the search for a suitable installer, and it is best to seek out at least three estimates from those in the area. Remember too that they should be licensed and supply some references to ensure that they have suitable experience with the type of installation required. "A well designed radiant system... will normally cost less than $3 per square foot, and less than $2 for a slab on grade." Interestingly enough, the site also explains that the larger the home the lower the cost of the equipment, and gives a quote for a five thousand square foot installation at $2 per square foot. This is because it is more affordable to tackle a large space before it is enclosed and completed, and retrofitting smaller spaces will come with significantly heftier price tags. The group mentions that something as small as a 400 square foot addition, however, could actually tie directly into the existing hot water heater and cost less than $800 to complete. Clearly this is not a small project, and if a home is retrofitted with the tubing it means that the installer will spend many hours drilling through floor joists and running all of the PEX tubing. If, however, the project were tackled before the home was completed, the tubing could be laid directly on the subfloor 1 and a skim coating of concrete would then be added. Generally, the total cost for an average home will average around $6,000 to $14,000 depending upon the time that the work is done. Additionally, some homeowners opt simply to install the electric mat style of radiant floor 2 heating in smaller spaces such as bathrooms in order to reduce project costs. The average bathroom installation using an electric mat instead of PEX tubing and hydronics is only $700, including labor. Equipment necessary for installation - this might mean everything from heavy duty drills and materials needed add support to floors or joists and costs will vary widely. 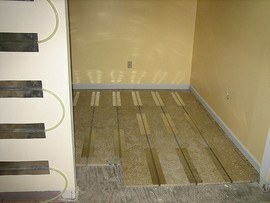 How much does it cost to install radiant floor heating in my city? Cost to install radiant floor heating varies greatly by region (and even by zip code). To get free estimates from local contractors, please indicate yours.